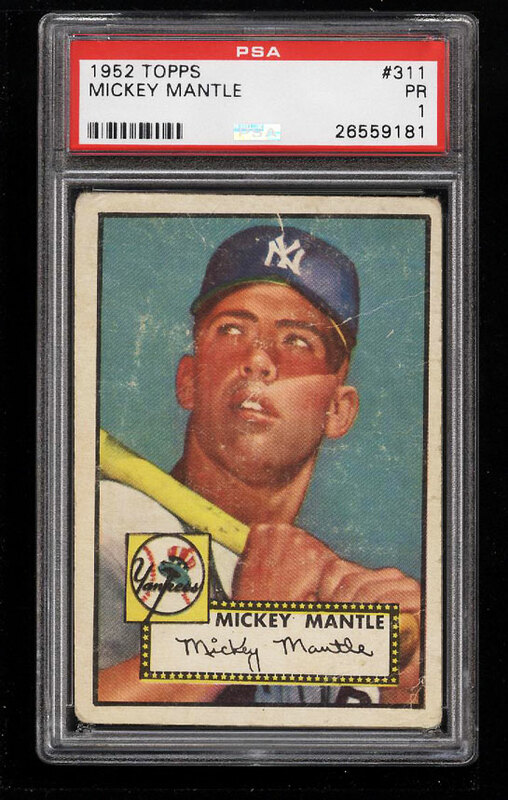 Iconic Mantle card which is incredibly desirable in any condition. 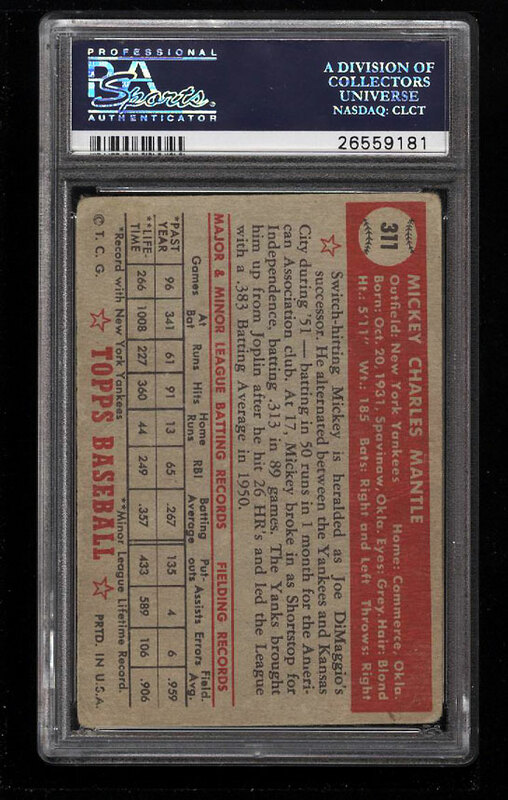 The offered '1' shows very well in comparison to similarly graded examples, boasting attractive framing with mostly clean borders and even corners. Retains nice color and clarity for the assessment. Deserving of attention. One of over 12,000 cards, lots and sets up for bid in our 11th Auction of 2017. Click on the link above to view the other PWCC auction lots.